From the top floor of his house, the marquis of Mandeleys can look for miles and see nothing he does not own—save one little cottage, just a hundred yards from his front door. It is the property of Richard Vont, whose family has been tenants at Mandeleys for generations, and who refuses to go away without a fight. Eighteen years ago, the marquis took an interest in Vont's only daughter, bringing her under his wing and spiriting her across England and beyond. With his encouragement, Marcia has become a famous novelist, but her father was left alone and bitter. Now he has come up with a plan to avenge his loss and destroy the marquis once and for all. As the plot unfolds, the righteousness of Vont's anger is called into question, as is the loyalty of his American mercenary. 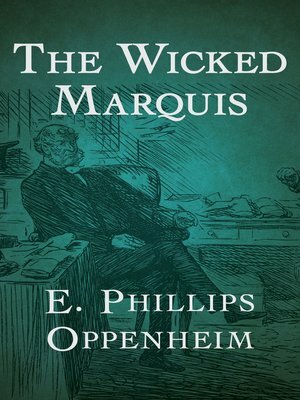 But no matter how innocent the "wicked" marquis may turn out to be, it could already be too late to save his life.